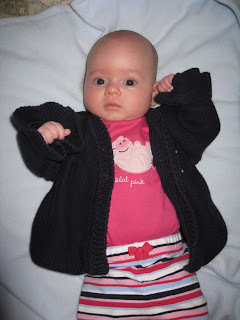 Ava is looking resplendent in her pink ensemble with frilly blue sweater. 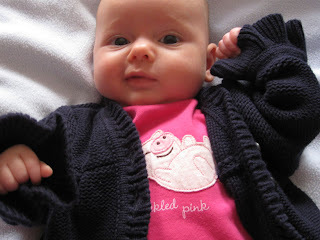 She is, indeed, tickled pink! 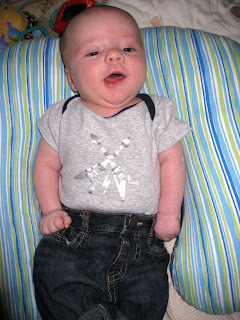 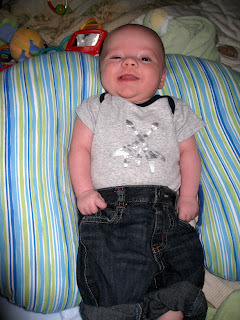 Colin's first pair of jeans! 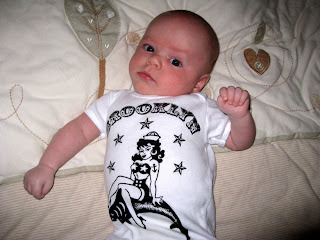 Bonus Colin pic in his Brooklyn onesie - sent by friend (and former boss) Josh from Carroll Gardens, Brooklyn!